As I mentionned in my previous post (the monday flower printable) I wanted to share with you an old recipe. I really enjoy to come back to simplier things sometimes: To draw or to paint on real paper without a computer, to train a little on lettrring, to cook and to try old recipes. In french, we talk about grand mother’s recipe, les recettes de grands mères. 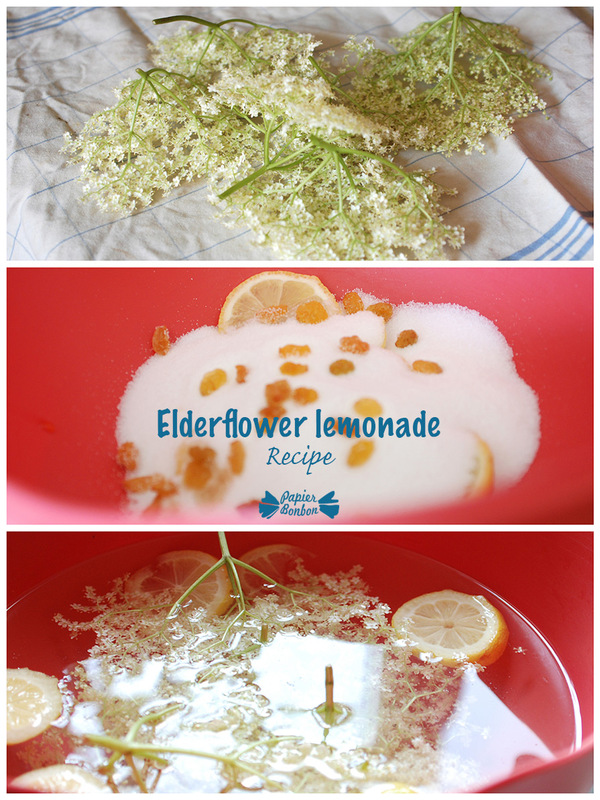 So today, I will share a label I drawn and turned into a printable and a nice recipe: Elderflower lemonade. I tried this recipe a couple of times and experienced both sucess and huge failures. So here is a compilation of different recipes that proved to work. The key to success may be that it includes strange ingredients such as raisins and rice. Gather the flowers in the morming, so that they are fresh. Check that they are free from insects (don’t wash with water wipe with a dry towel). 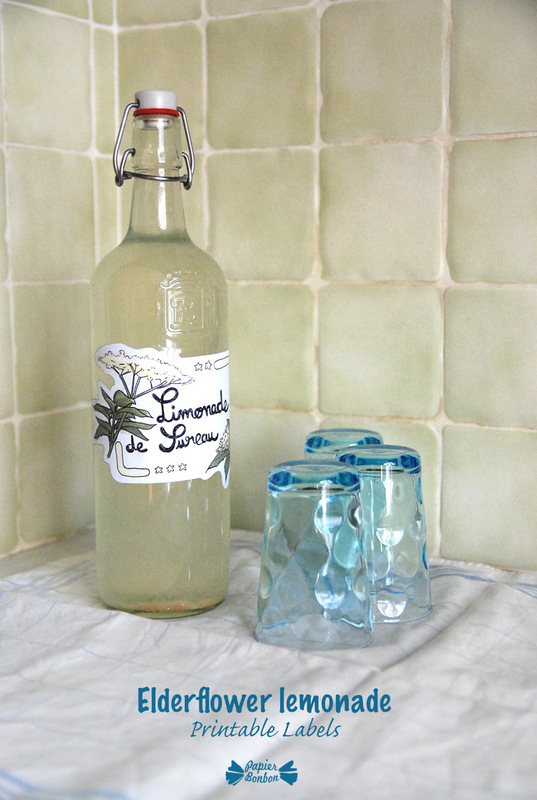 Wait 2 weeks before enjoying your sparkling own lemonade. You can keep the lemonade unopened for 3 months in the cellar.